Ready To Video Conference On Your E7? The Nokia E7 is almost here. 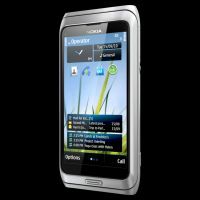 Pre-orders for the highly anticipated dual GSM/WCDMA Nokia E7 has already started. All you have to do is get online and fill a form, mentioning your preference for the closest Nokia Priority store. Nokia, rather officials from the Nokia store, will contact you and take it from there. An initial deposit of Rs 3000 is needed to secure the order. The handset is priced at Rs 35,000. What does so much moolah bring? After all, you can get personal computers for less. Not to mention tablet devices. Lets take a quick look. E7 runs on the Symbian OS. The company was a key participant in the development of a new flavor of Linux-based OS called MeeGo in alliance with Intel and AMD. However, the company had a significant tie-up with Microsoft just last month, and looks like we will be sticking to Symbian and Windows Phone, especially the latter for the time being. The E7 automatically switches between WCDMA and GSM bands, and supports GSM/EDGE 850/900/1800/1900 and WCDMA 850/900/1700/1900/2100. The phone comes with a 8 megapixel camera, along with a front-facing secondary camera for video conferences. It has finger touch support for text input and UI control, and you can also use a stylus, if you want to. The screen size is 4 inches, and but let that not fool you, it can support 16 million colors. The E7 has a talktime of 9 hours (on GSM) and 5 hours (on WCDMA). You can read the complete tech specs here. Nokia has been going through a lot of changes both external and internal. The company has witnessed a couple of management reshuffles, and Nokia market shares have been inching down, even as global cell phone usage rose 32% in 2010.